We’d love your help. Let us know what’s wrong with this preview of Summary by In A Nutshell Publishing. It takes the average person 49.5 minutes to read 7000 words. For the price of a coffee and a time investment of roughly 3.5% of your day, I believe the wisdom in this book to be well worth it's value. Here's my sales pitch: The writing will not be quite up to the same standard and the formatting is also not done by a professional. If you need a story behind each point to reinforce it, then please, go and buy the original. 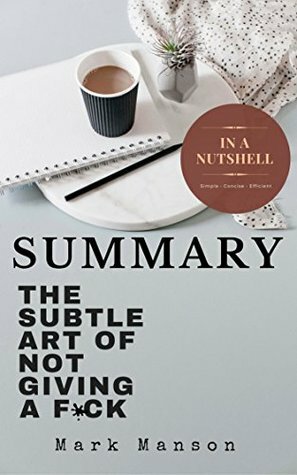 However, if like me you aren't a fan of the 'fluff' that comes along with most books and would much rather skip to the nuggets of wisdom and actionable content in a very easily absorbed, readable way including key takeaways - then I believe this is the book for you. Save yourself time and money. I am only releasing summaries of the books that have made a true positive impact in my life. If you decide to purchase, I truly hope you enjoy and benefit from it. To ask other readers questions about Summary, please sign up. Has anyone else read this book? Reaction? Has it's definite good points that I agree with completely, some ideas that made me think, but a few that I honestly was like No No No!! Great summary. Makes me want to read the full book.